Japanese beetles will eat virtually anything - and they don't dine alone. 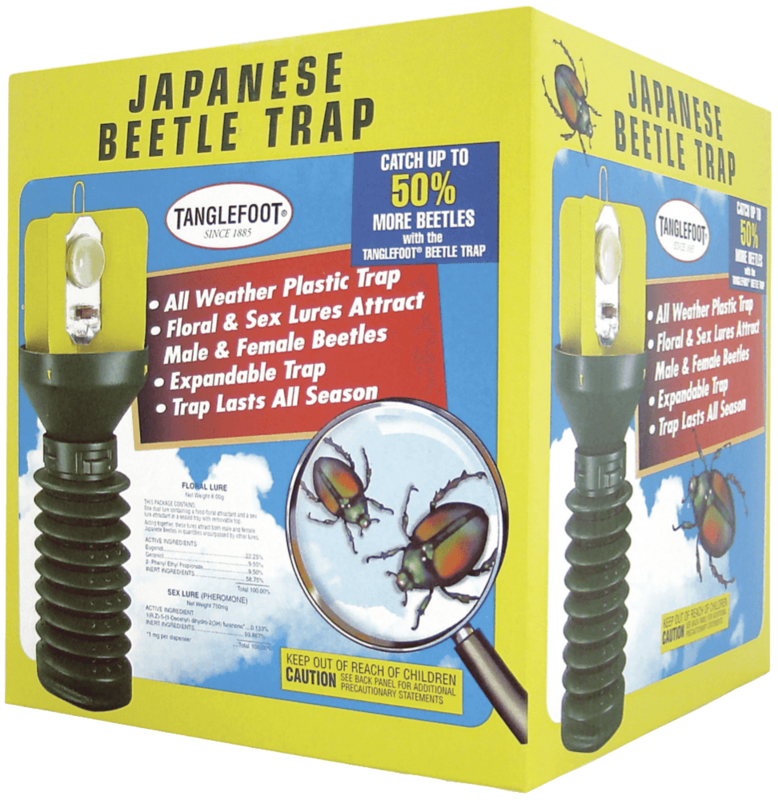 Save ornamental trees and plants from these destructive beetles with the Tanglefoot® Japanese Beetle Trap. This reusable trap uses pheromone and floral lures to attract both male and female beetles to control beetle populations without pesticides or harmful chemicals. The attractive yellow color combines with the tempting lures for highly efficient beetle trapping. Slide vanes together at open slots. Make sure the ends slide into the channels of the vanes. Attach the vanes to the funnel. The four vanes clip into the funnel body. Position Dual Lure so that the open side faces inward toward the trap. Do NOT remove the contents. Insert one edge into vane slot, then tip upward to insert into opposite vane slot. Your trapping system is now ready-to-use. Protect trees from destructive sun-scald, rodents and mammals with TangleGuard Banding Material. Make sure to pair it with Tree Tanglefoot Insect Barrier for the ultimate protection from damaging insects.